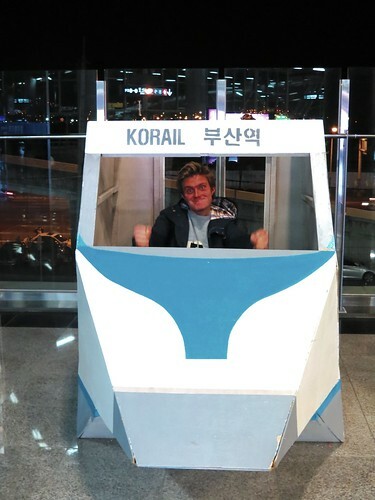 Korea is a strange place for foreigners (Koreans call us waygooks, which means 'outsider') but behind all of the formalities of the culture, I think the people are easy going and fun, which is reflected in their habits, hobbies and the little things that they do! Bits of it I will really miss, and others not so much. Spam is a delicacy here and is often given in huge quantities in gift boxes for national holidays. Dinner etiquette is complex in Korea. You should never pour your own drink, especially not before everyone else at the table has had their glass filled. You should pour using two hands and hold your glass for someone to pour your drink using two hands. You should face away from the eldest at the table when you drink. If you pour your own alcohol, it is a common belief that you could be single for many years. 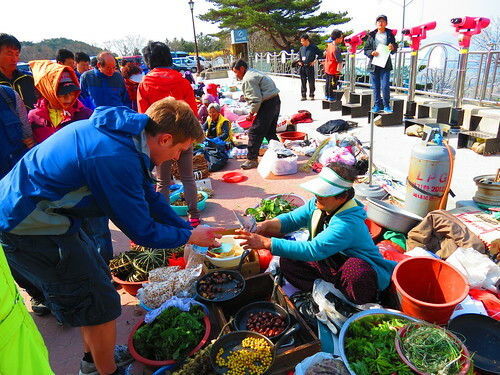 Korean food can be VERY spicy, to the point where Korean people often worry about foreigners eating their food. It uses chillies and garlic in many of it's dishes. Almost every Korean dish is good for stamina. Dried squid is a popular snack here, you can see them hung out on street stalls waiting for someone to buy them. It's polite to slurp your soup noisily! Flat metal chopsticks and a spoon are the utensils used for eating a typical Korean dish. Western style coffee shops and bakeries are very popular here. You can get a good coffee in just about any place in Korea, no matter how rural. The bread in the bakeries have a unique taste as they use lots of sugar, cream cheese and red bean to add flavour. Most connivence stores have plastic chairs and tables outside, encouraging people to buy themselves a cold drink and enjoying it on the pavement. This is perfect for a cheap night out on Summer nights. Social drinking goes hand in hand with eating. Koreans on a night out will go from restaurant to restaurant or HOF which is a bar that sells snacks. In most places food is expected to be ordered with drinks. There is no real separation between what Korean's eat for different meals. They eat pretty much the same sort of dishes for breakfast, lunch and dinner. That is, KIMCHI! They have little 'doorbells' on tables in restaurants. Ring it whenever you want a waiter at your table, it's brilliant! Alternatively, it's not rude to call your waiter from across the restaurant by shouting 'Yogi oh' Which means over here! Finally, most meals come with more side dishes than you can count on one hand. It's fun to try a little bit of everything. The public transport system is amazing here. Buses seem to go to every corner of the city, and if you use a Mybi (the Busan equivalent of an Oyster card) and buzz it on your way off of the bus, you get a free transfer within half an hour. The KTX is a super fast train that whizzes you across the country at 190 mph. It costs roughly £30 to cover the same distance from London to Sheffield and will get you there in just over two and a half hours. They even have ladies on there who dress and act like air hostesses. Scooters and motorbikes are used on pavements and pedestrian crossings, as well as on the roads. Motorcyclists also spread marketing flyers and often ride down the road flinging business cards at the pavement...beware! Many taxi drivers wear fancy white gloves as they drive around. It's a bit hit or miss regarding the quality of the driving, but it's always cheap! You can pay on card almost anywhere, including in taxis. Some of the trains have karaoke rooms. 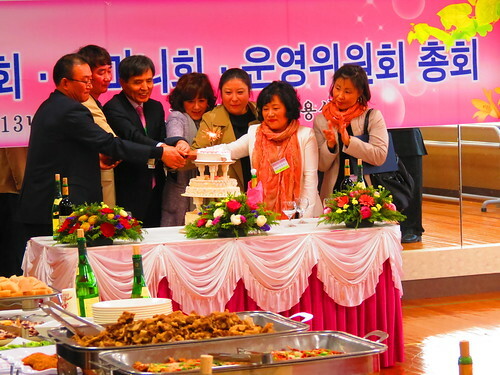 There is an increasing Christian population in Korea. Church going, wet tissue wielding, pamphlet proliferating Christians are everywhere! It is common to see people who practice Buddhism walking the streets in grey robes. They have cash machines at some big buddhist temples. Bowing is polite in korea. Bow to say hello, goodbye or thank you. The deeper the bow, the more respect you have for the person. You should give and receive money with two hands. To give shoes as a gift to your other half is considered unlucky. If you are given a gift, it's considered rude to open it in front of the person who gave it to you. You should never wear outside shoes inside. Especially not in restaurants where you should sit on the floor, instead you should remove your shoes and wear the slippers provided instead. There sometimes calls for another change of slippers to visit the toilet. All boys aged between 18-30 must do military service for 2 years. Koreans love to sing, there are karaoke rooms, called Noraebangs everywhere. If ever the mood takes you, you shouldn't have to look further than 50 metres! Dokdo is a no go conversation piece unless you want to hear a stream of anti-Japanese phrases. Korea is an incredibly safe country to be in. Frequently we see people leave Ipads, phones and bags at a table while they go to the toilet and I've never known anything to be stolen. Koreans don't believe in the man on the moon, they believe there is a rabbit up there. What's your Korean age? Koreans follow a different reckoning when it comes to your numerical age. When a baby is born, they consider the baby to be one. They also become one year older on the turn of the lunar new year. It all gets very confusing when a Korean asks you how old you are. Koreans spend a lot of time hiding under umbrellas. Either to shelter from the acid rain or to protect them from wrinkle inducing sun rays. On the 15th day every few months Korea holds a civil defense training drill at 2pm in the afternoon. Sirens can be heard, traffic is stopped and people who are out on the street will be asked to take shelter. The only experience I've had of it is being in a classroom, with 15 screaming children hiding under the desks, suitably excited they get to miss a bit of class. Everybody has a smart phone! Young or old they're all packing state of the art touch screen phones. Koreans' family name comes before their given name. Usually the same generation will share one same syllable of their name. Wives don't take their husbands' names but children will take the husband's name. There's no mistaking who is in charge in Korea. It is definitely the older generation. They like to drink, hike and have a good time. God help any of the young ones who might get in their way. They can come across as rude but they aren't afraid to challenge the 'respect for elders' idea by pushing into the front of queues for the metro or at the ticket office. It's nothing personal. On the flip side of these old people are the ones who collect and sort through rubbish to get some money for recycling. It's not uncommon to see old ladies dragging HUGE piles of cardboard around on their little carts. There are some awful smells that escape from the drains in Korea. Be sure not to walk around with your mouth open. 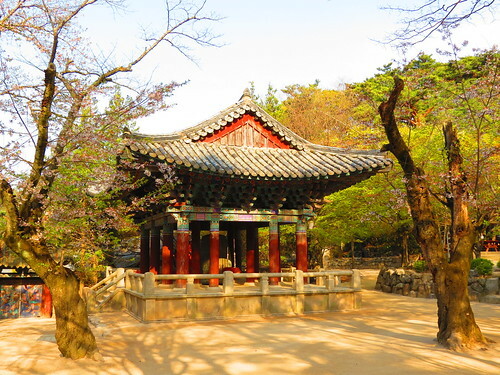 Korea isn't the most beautiful of countries in terms of architecture . Most of the original buildings were knocked down during the Korean war in the 50s, and they've been replaced with high rise apartments and very angular ugly concrete buildings. However, Korea is hugely popular for plastic surgery, which means there are many beautiful ladies. In most bathrooms there is a western toilet tucked away in the corner, but the majority of older buildings have squatty potties! Get ready to work your legs! Whistling after dark is thought to tempt bad luck. Koreans believe in fan death. They would be horrified if they found out you slept in a sealed room with a fan on. Girls should never show their chest, cleavage and be careful about flashing a bare shoulder. But if you fancy showing your legs off, go as short as you dare! They won't bat an eyelid. The Korean alphabet is completely phonetic, so really easy to read once you know what the symbols stand for. Also, the shape of the symbol is supposed to represent what your mouth and tongue are doing when you're pronouncing the syllable.